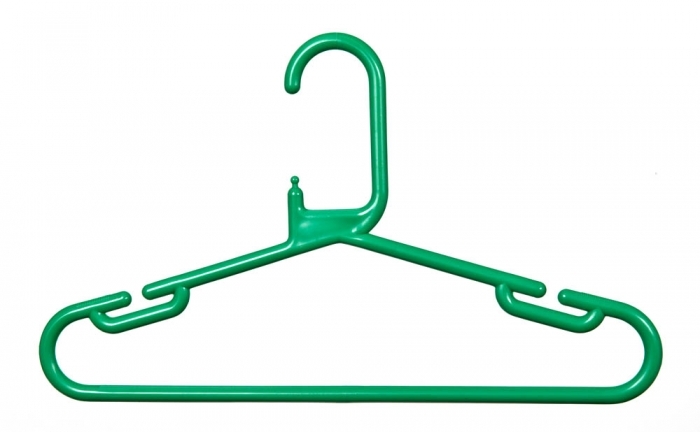 Plastic child coat hangers which are 330mm wide and available in a range of colours. We also offer matching plastic trouser hangers. Sold as a box of 150 hangers. Perfect for the retail environment and sold to retailers throughout the UK and equally suited to the home the plastic child clothes hangers are ideal if you require an inexpensive clothes hanger for childrens clothes such as T-Shirts.